Small but excellent! 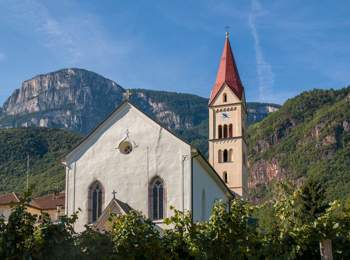 Andrian is one of the smallest municipalities in South Tyrol. So it is a quite calm and idyllic village, which sets a high value on traditions. Nevertheless or maybe because of that reason, the village in Southern South Tyrol is a popular holiday destination, primarily for families. 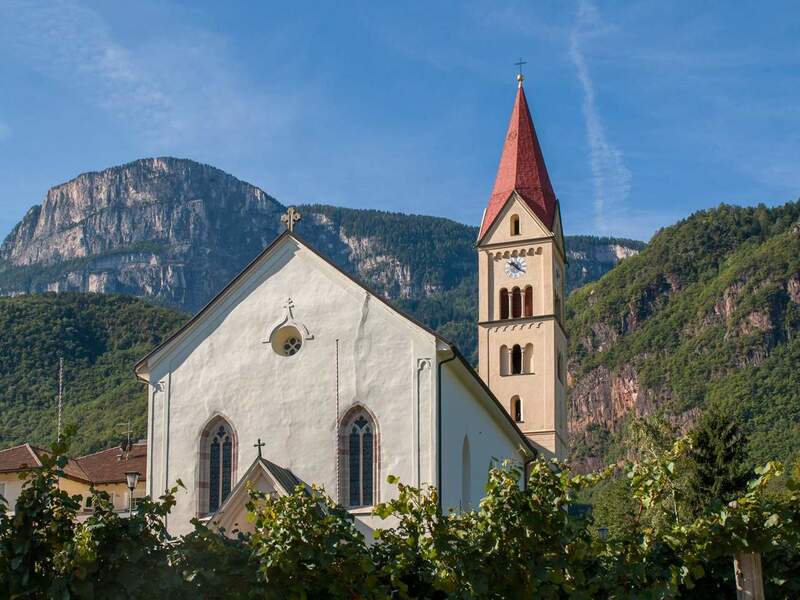 Andrian is situated in the picturesque Etschtal valley between the cities of Bozen and Meran. The small municipality on the other side of Terlan is embedded in the slopes of Mt. Gantkofel and a good starting point for hikes, bike tours and excursions. Archaeological discoveries have shown that Andrian was already settled in Roman times. Still today, the famous cycle path Via Claudia Augusta, which was built on the foundations of the homonymous Roman road, passes along the picturesque holiday resort. Andrian benefits from a Mediterranean climate. From March until November, mild temperatures guarantee perfect conditions for countless holiday activities. As well, the soils and climate in Andrian are ideal for growing apples, delicious white asparaguses and excellent wines. The winery cooperative in the small village of Andrian is the oldest one in South Tyrol. Spring is the most beautiful season in Andrian: The apple trees are decorated with countless blossoms and the restaurants and hotels offer refined asparagus dishes. As well, Andrian offers a very special atmosphere during the apple and grape harvest in autumn. 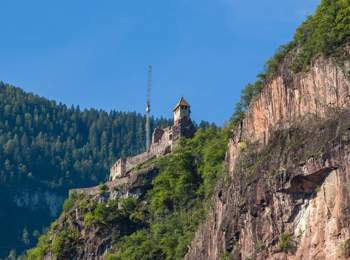 Culture lovers can visit the historical residences and castles in Andrian and environs, such as the picturesque ruin of Festenstein Castle above the village centre. St. Valentine parish church dates back to the 13th century. With its artistic altar and historical frescoes in the sacristy, the church is worth a visit too. If you spend your holidays in Andrian with your family, there is the inciting outdoor pool at the edge of the forest guaranteeing refreshment on hot summer days. Visit Andrian on the South Tyrolean Wine Road and experience hearty hospitality in familiar hotel, cosy bed and breakfasts or guestrooms on a fruit or wine farm.